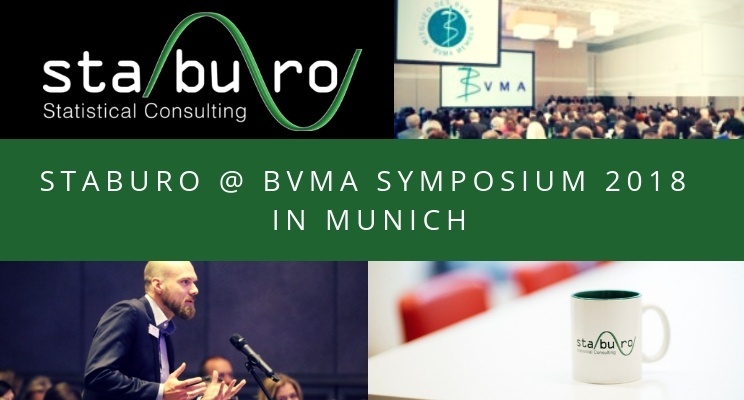 Staburo took part in the BVMA symposium on 23 November 2018, at the Sheraton Arabellapark Hotel, here in Munich. The BVMA represents the interests of its German CRO members. BVMA members maintain a lively exchange of information on topics that important to the German CRO industry, e.g. on questions of liability and insurance, education and training, quality requirements and trends in the pharmaceutical and CRO industry. This year it was the 26. BVMA symposium, the get-together took place on 22 November 2018, also at the Sheraton Hotel (after an exceptional anniversary last year in the “Deutsches Museum”). The symposium topic was “Real World Data, Social Media and Data Protection – Quo vadis?” (e.g. AI, RWE, Healthcare Apps), but also relevant regulatory and policy changes in clinical studies were presented and discussed. We were very happy to learn more about the needs of current and future partners in Biostatistics – thanks to the excellent networking sessions. We thank the BVMA for the organisation of this great event and for the invitation!